Detail of Scylla from a painting depicting Zeus carrying Europa across the sea in the guise of a bull. 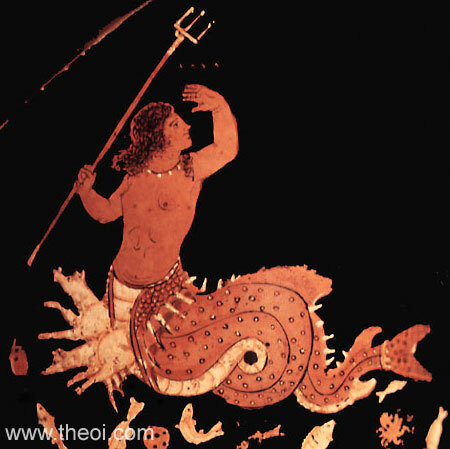 Scylla is depicted as a mermaid-like nymph with the head, arms and torso of a woman set atop the serpentine tail of a fish. The foreparts of two dogs sprout from her waist and she holds a trident in her hand.